Nancy and Chad Hewlett wanted to do things a little differently when they decided to start farming four years ago. So they moved away from the conventional farming of their childhoods and took a more holistic approach instead. 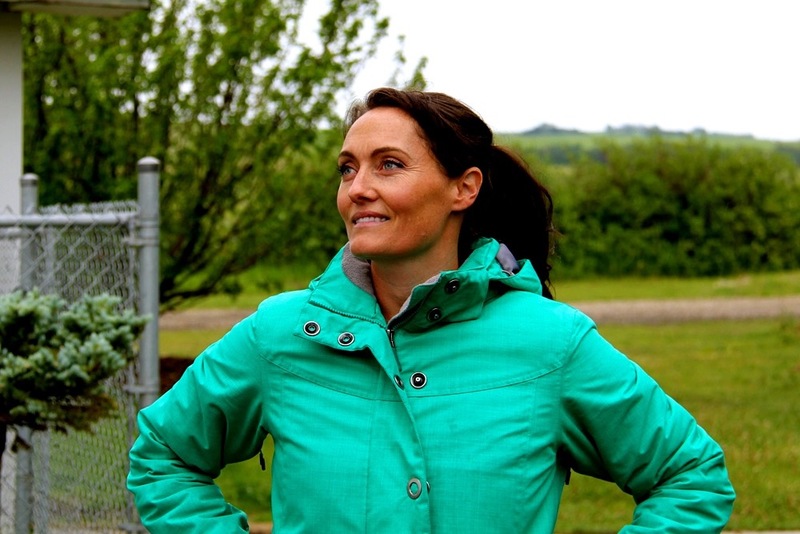 “Shifting to permaculture was a huge learning curve. Some days, it feels like I’m starting all over again,” said Nancy Hewlett, owner of Sage Creek Permaculture. Permaculture is a type of ‘regenerative’ farming — a systems-based approach that shuns fertilizers and pesticides, focusing instead on things such as building organic matter and fostering diversity. The aim is to create a self-sustaining operation where the ecosystem itself supports production. Livestock are a key part of that, but the way the Hewletts have done that on their central Alberta farm is a far cry from what’s done on conventional operations. “We incorporated our animals to help us with the regeneration of the land. In turn, that creates a super-healthy animal for us to sell to our community,” said Hewlett of her cattle, pigs, and chickens. In Hewlett’s integrated feeding system, each animal has its role to play on the land. 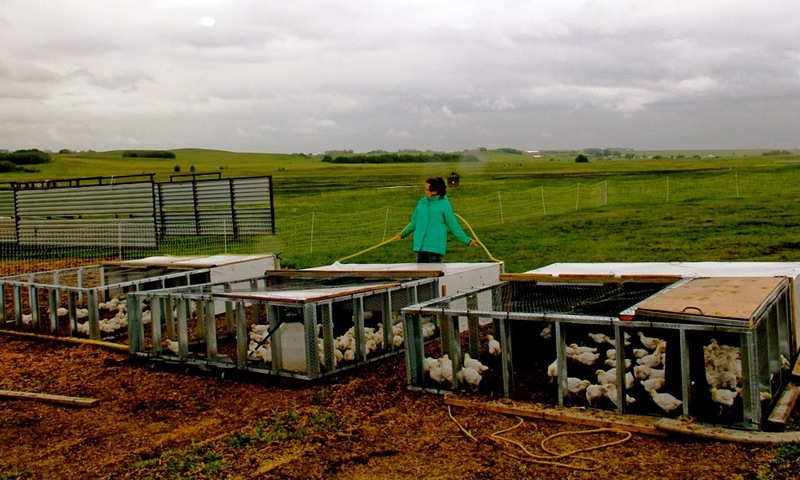 The chickens provide the fertilizer with their nitrogen-rich waste. The pigs are the tillers, breaking up the land and incorporating the fertilizer. The land is then seeded behind them, and once the forage is ready, the cattle feed on it, adding nutrients back into the system through their manure. Then the cycle begins anew. The pigs and chickens are kept in enclosures that are moved once a day or once every few days, depending on whether or not they’ve done their job. The cattle are cell grazed — stocked at high density in a paddock and then moved daily, allowing them to eat only the top third of the grass. It’s labour intensive, but it works. And in the winter, the animals are fed on lush, green grass too, thanks to fodder. “When we were first starting out, we researched the best way to winter feed, which is one of our biggest challenges in Canada,” said Hewlett. 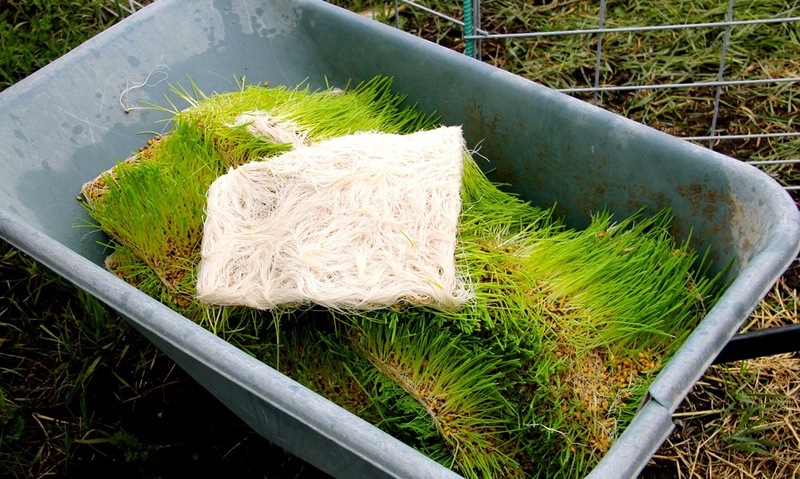 “We looked at haying, which is fine, but we fell on to fodder — hydroponic grass grown from sprouted barley seed. 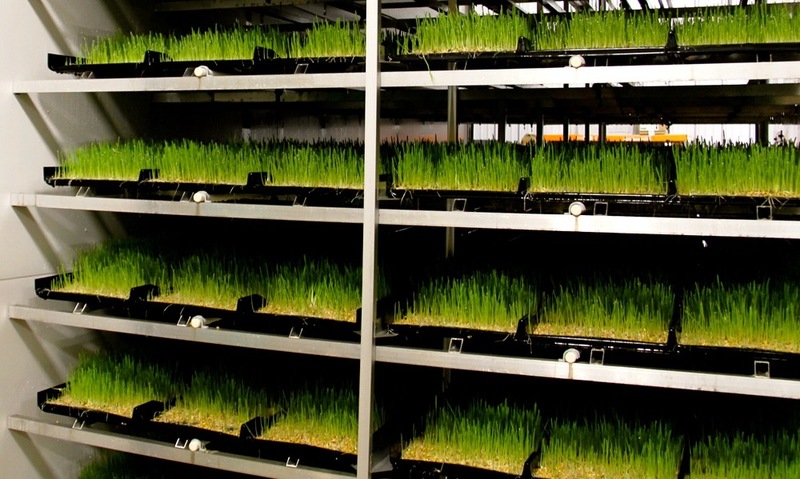 Barley goes from seed to feed in less than a week with help from this hydroponic fodder system. “We put about 100 pounds of seed in the one end, and we get 750 pounds of feed out of the other end,” said Hewlett, who seeds and harvests every day. Fodder is 80 per cent more digestible than hay, with additional enzymes and nutrients that the animals need. As a result, Hewlett is seeing better daily gain and healthier animals. “We had no problems with calving, and the calves are growing really well because there’s so much more fat in their milk diet,” she said. The upfront investment might give most producers a bit of sticker shock — especially since this one system is feeding only about 40 head of cattle, plus the pigs and chickens. But the numbers pencil out, and Hewlett will see a return on her investment within 2-1/2 years. “We had to decide if this machine was more worthwhile than the haying equipment, and it was hands down the right choice for us,” she said, adding that they do supplement the fodder with some hay, for roughage. “We can feed one head per day at $0.29 as opposed to hay that’s anywhere from $0.95 to $1.45 a day. This article originally appeared in the July 2, 2018 issue of the Alberta Farmer Express.